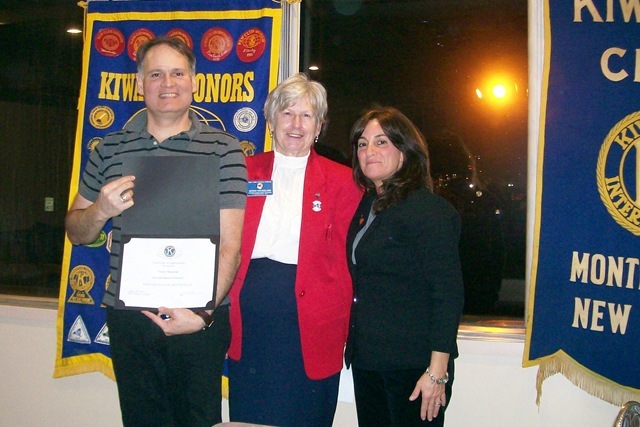 MONTICELLO, NY (December 3, 2014) – The Kiwanis Club of Monticello inducted three new members at their November meeting: Denise Cedeira. Patricia Monteverde and Jim Ankin. 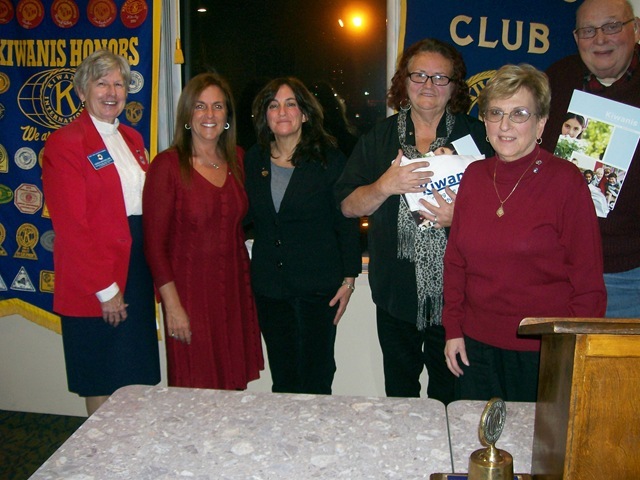 In photo at left are new Members being installed (l-r) – LTG Gerda Krogslund, Denise Cedeira, President Jane Sorensen, Patricia Monteverde, 1st VP Sheila Lashinsky and Jim Ankin. Ms. Cedeira is the School Business Administrator for the Monticello Central School District. Ms. Monteverde is a retired neuro/surgical nurse who worked over 30 years at Columbia Presbyterian Hospital and Mr. Ankin owns and operates a taxi/limousine and tour service company from Callicoon, NY. Kiwanis Lieutenant Governor Gerda Krogslund presided over the ceremony. And Kaytee Warren, (below with Kiwanis Pres. Jane Sorensen and Treas. 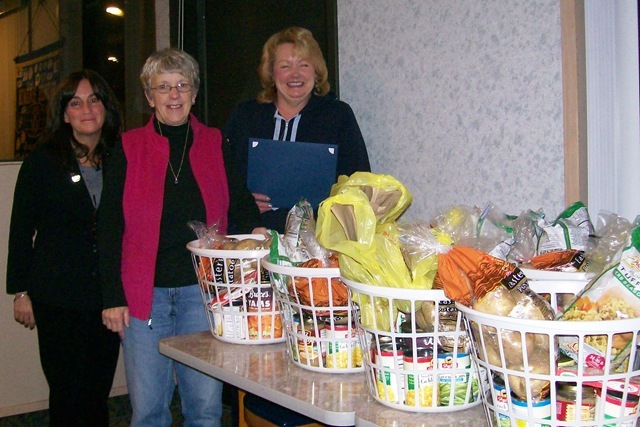 Janet Siano),Chief Professional Officer of United Way, was presented with turkey dinners complete with all the trimmings that were distributed to local families for Thanksgiving. The Kiwanis Club is a service organization focusing on serving the youth, the elderly and the underserved population in the community. They meet the first and third Mondays of the Month at 6:30 PM at the Blue Horizon Diner and Restaurant. For information about membership or club activities, call President Jane Sorensen at 845-807-6332.